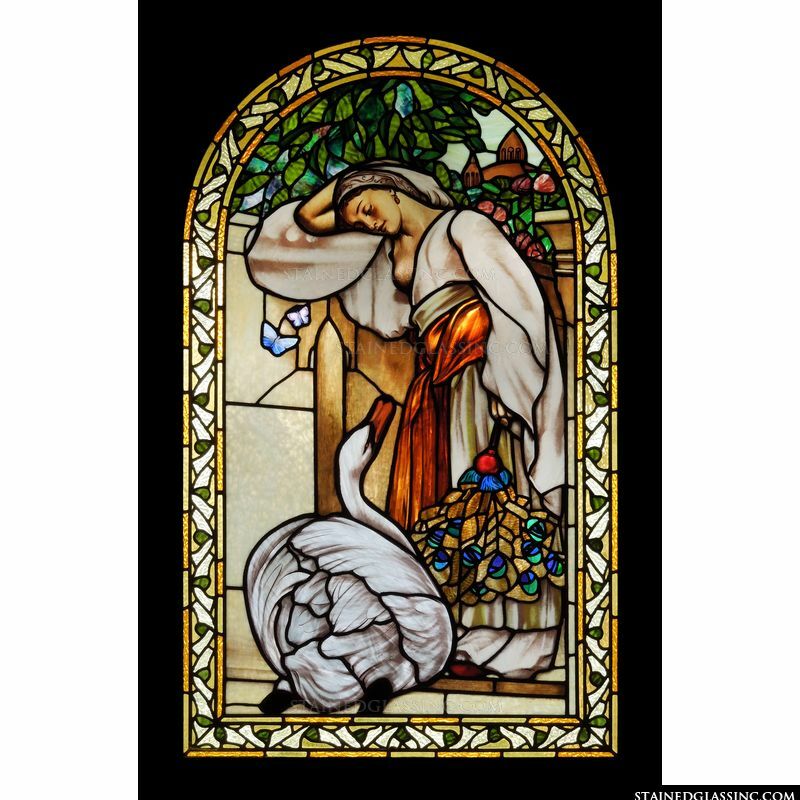 A woman leans against a wall as a swan sits at her feet and looks up at her admiringly. 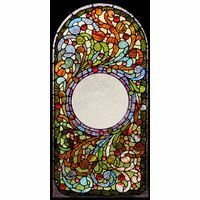 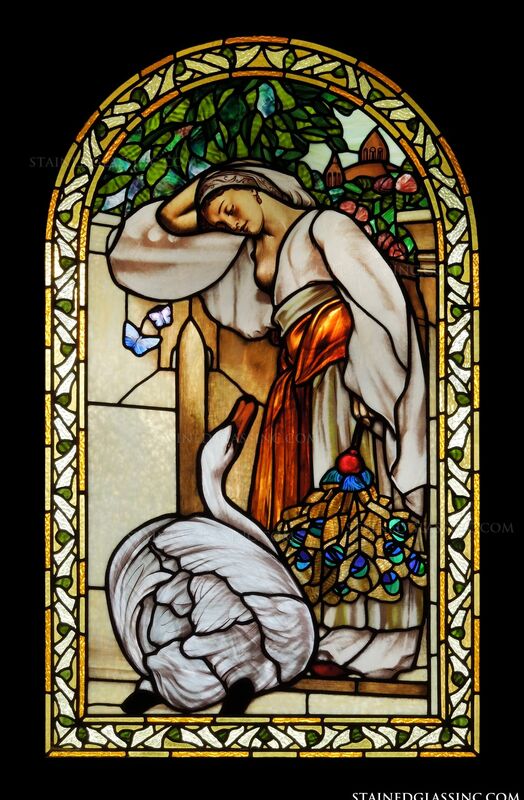 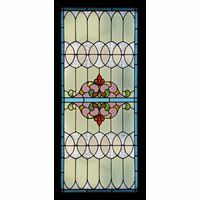 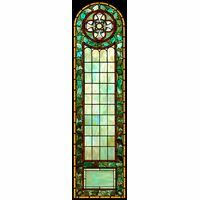 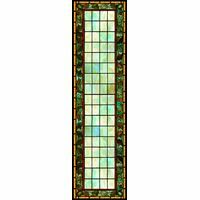 This stained glass window panel is full or color and charm and tells a story with its design. 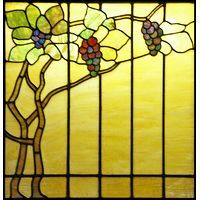 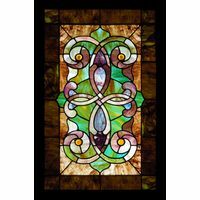 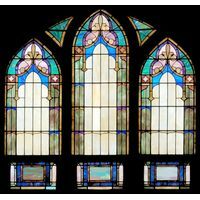 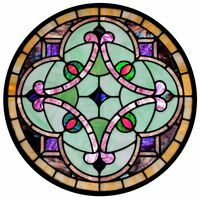 Display this stained glass artwork in your home or business as a conversation starter.